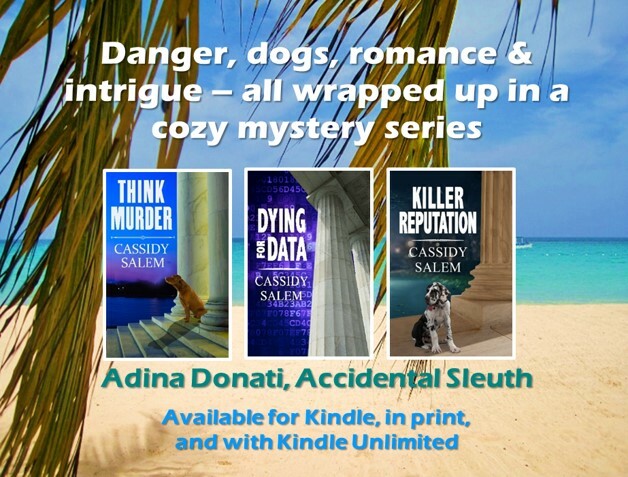 As part of a blog tour organized by Great Escapes Virtual Book Tours, I recently read a new mystery set in one of my favorite places – Washington, D.C. Released this past summer, K Street Killing is the fourth book in Colleen J. Shogan Washington Whodunit series. It’s the height of campaign season, and instead of relishing newlywed bliss with her husband Doug Hollingsworth, Capitol Hill staffer Kit Marshall is busy with a tough reelection fight for her boss, member of Congress Maeve Dixon. Before Maeve and her staff–Kit included–leave Washington, D.C. to campaign full time in North Carolina, they have one last fundraising engagement. On the iconic rooftop of a restaurant overlooking the Capitol and the Washington monument, Kit and her best pal Meg do their best to woo wealthy lobbyists for sizable campaign donations. Everyone’s enjoying the evening soiree until a powerful K Street tycoon mysteriously tumbles off the rooftop. Even with claims the fall must be suicide, Detective Maggie Glass and Kit aren’t so easily convinced foul play isn’t at work. While balancing Doug’s mid-life career crisis, Kit must spring into action to discover who killed the notorious Van Parker before Dixon’s candidacy sputters, even if it means investigating Meg’s handsome new beau, the victim’s conniving widow, and a bicycle advocate hell-bent on settling a long-standing grudge. When threatening note is left on Kit’s car, warning her to back off the investigation, she knows she’s closing in on the true story of what happened. This well written mystery provides an interesting glimpse into the world of congressional staffers and their interactions with lobbyists. Kit Marshall is single-minded in her determination to wrap up the murder investigation and get back to her boss’s campaign. She actively seeks to identify the killer, even though it should be the police’s job. I found the detective’s acceptance of her meddling to be a bit unrealistic. Nonetheless, the well-paced plot held my interest throughout. I found the setup leading to the mystery’s resolution reminiscent of Agatha Christie and other traditional mystery writers. And, of course, I loved Clarence and his antics. FTC Disclosure: I received a complimentary ARC of this book as part of this blog tour. This has not affected the content of my review in any way. Click here to enter a Rafflecopter for a chance to win a $50 Amazon gift card. Colleen J. Shogan has been reading mysteries since the age of six. She conceived of the plot of her first mystery one morning while taking a walk in her suburban Washington, D.C. neighborhood. A political scientist, she previously worked on Capitol Hill as a legislative staffer in the United States Senate and as the Deputy Director of the Congressional Research Service. She is currently a senior executive at the Library of Congress who works on great initiatives such as the National Book Festival. Colleen lives in Arlington, Virginia with her husband Rob and their beagle mutt Conan. She is the recipient of the Next Generation Indie Prize for Best Mystery. Click here to check out the rest of the stops on this blog tour.